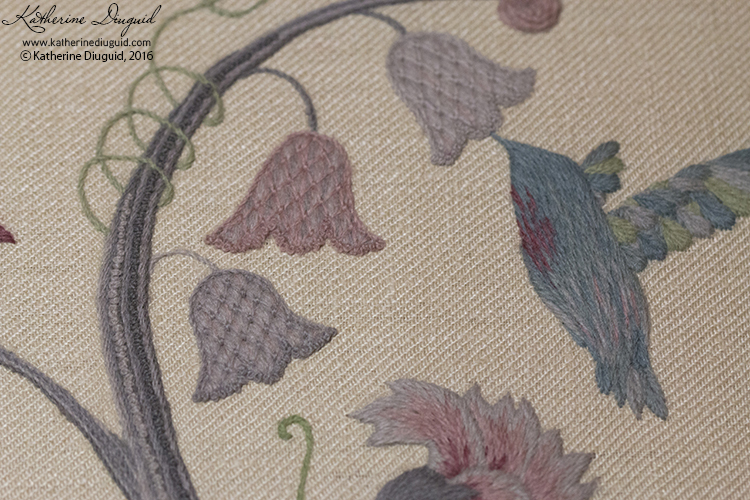 The design I am using is an illustration that was on the cover of Vogue UK in May 1936. It's been a bit tricky knowing who to credit for it as I have come across a couple different credits. The Vogue UK website credits Alix Zeilinger for the cover, however it was also the illustration for the cover of Vogue US in May 1934 with the dress yellow and black striped. 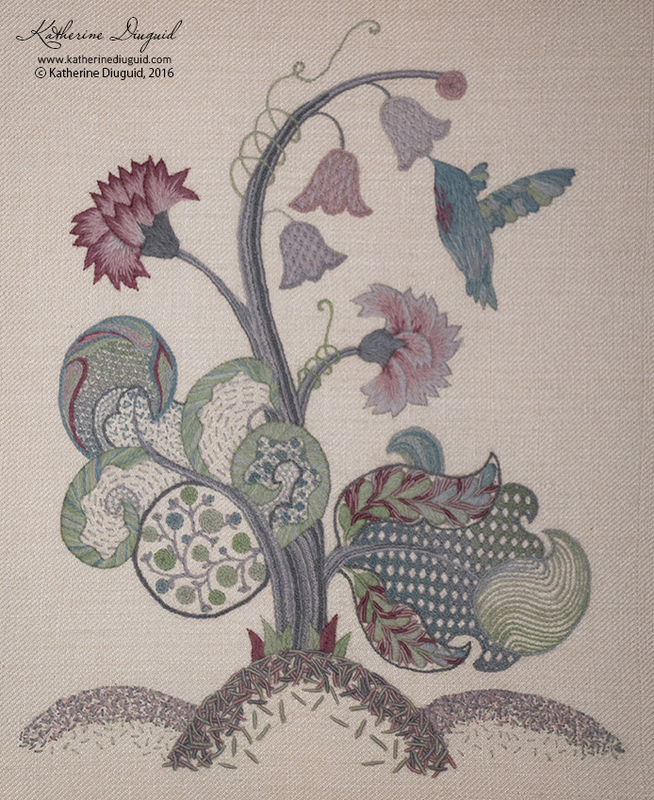 Katherine stitched this piece as part of her Royal School of Needlework Certificate of Technical Hand Embroidery. 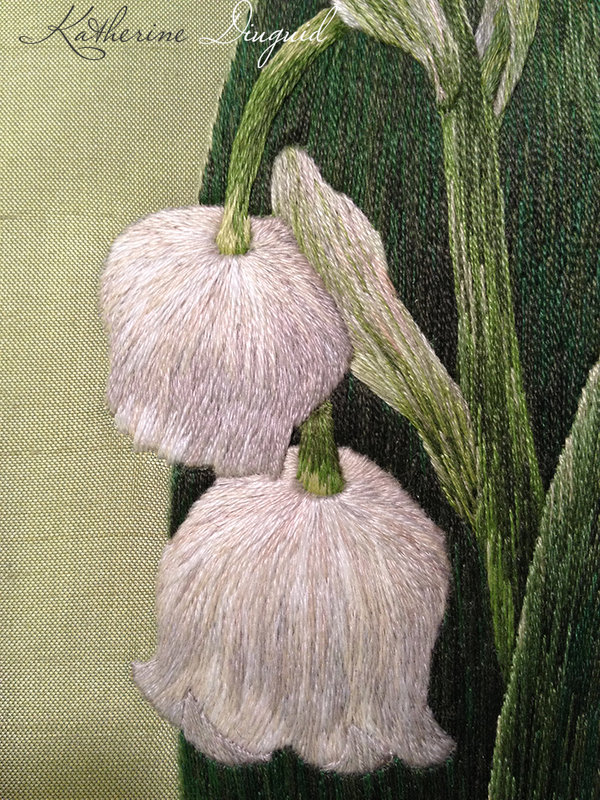 Katherine stitched this piece as part of her Royal School of Needlework Certificate of Technical Hand Embroidery. 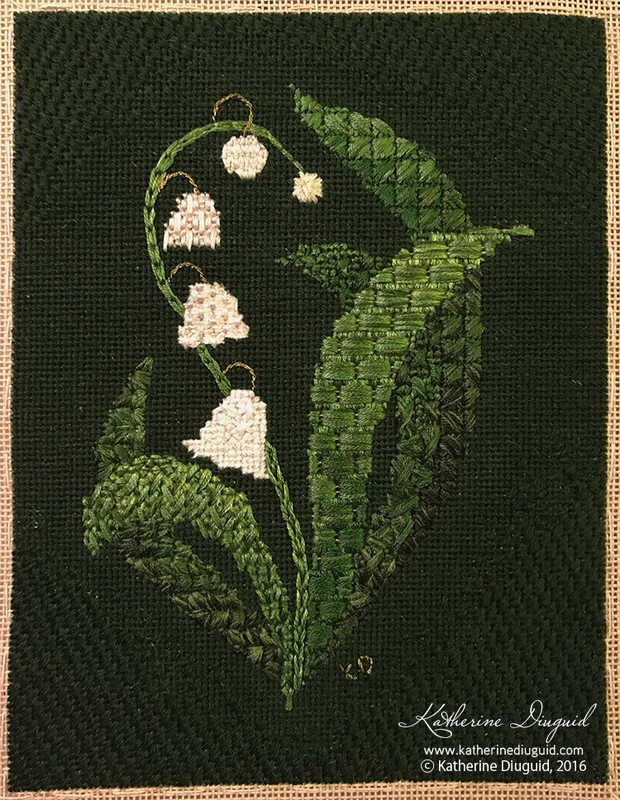 This piece was based off of photographs Katherine took of the Lily of the Valley in her garden. 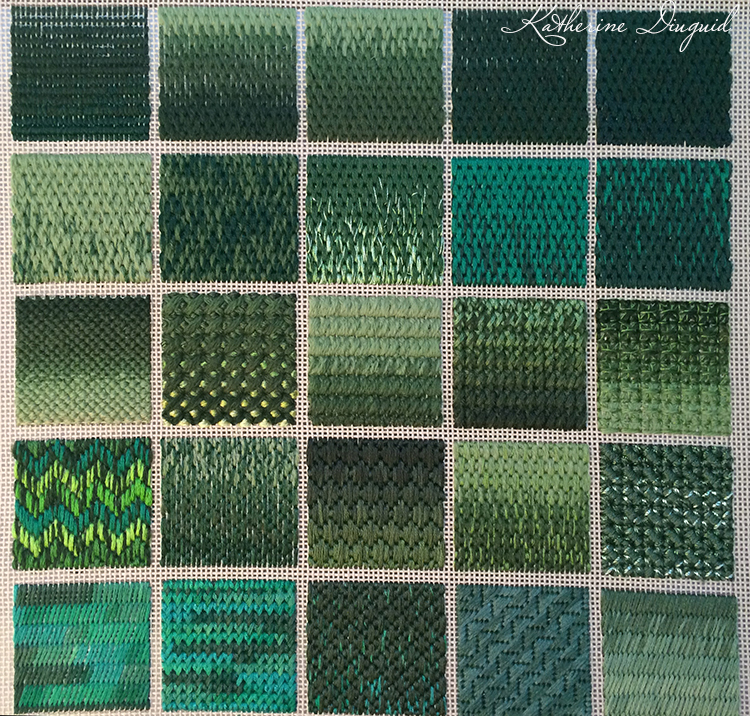 Katherine explored different canvas stitch types with various mixtures of green threads. 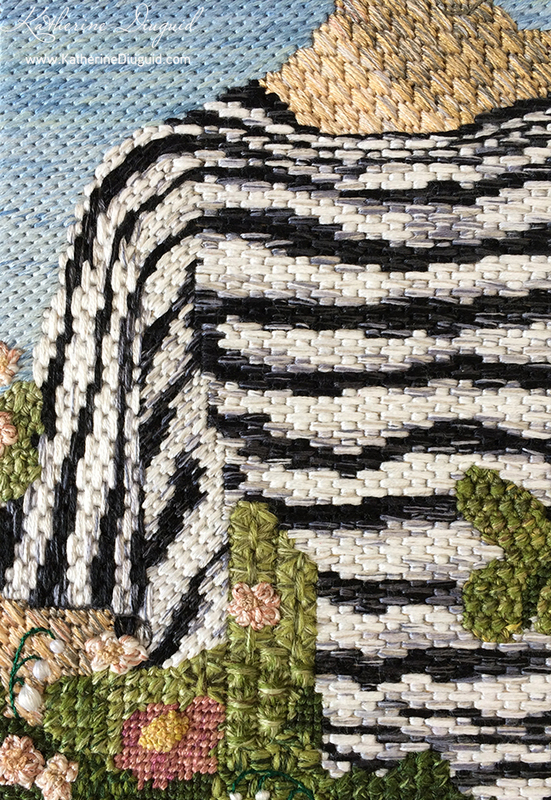 Katherine stitched this piece as part of her Royal School of Needlework Certificate of Technical Hand Embroidery. 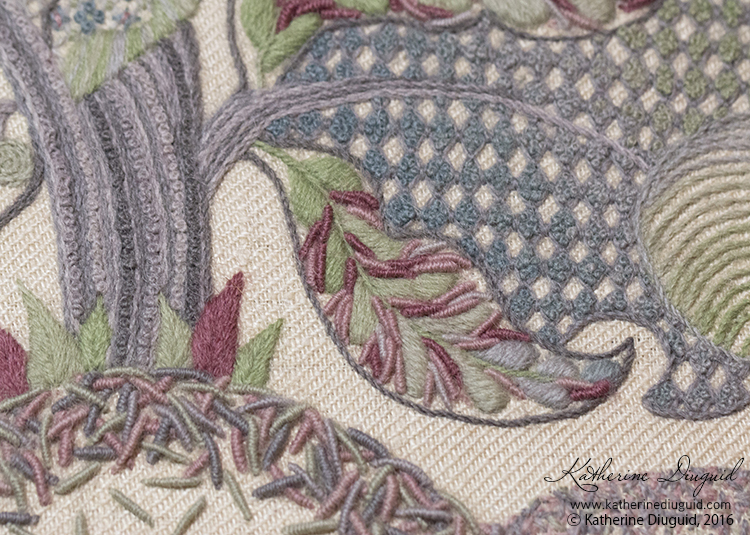 Katherine was inspired by motifs from traditional Jacobean crewel embroidery and the language of flowers.